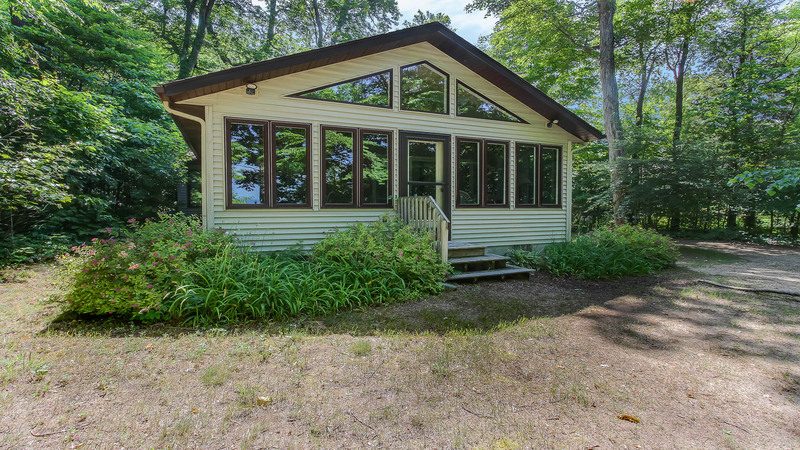 Beach Cottage is a classic Lake Michigan cottage. 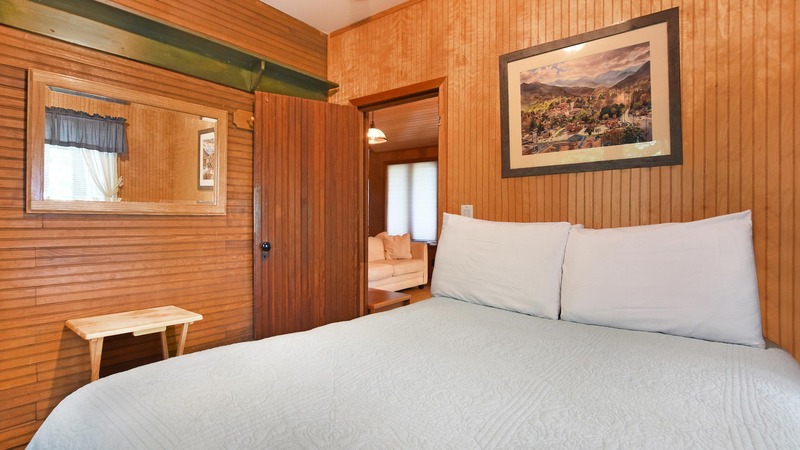 It's a quaint, secluded lakeshore getaway. 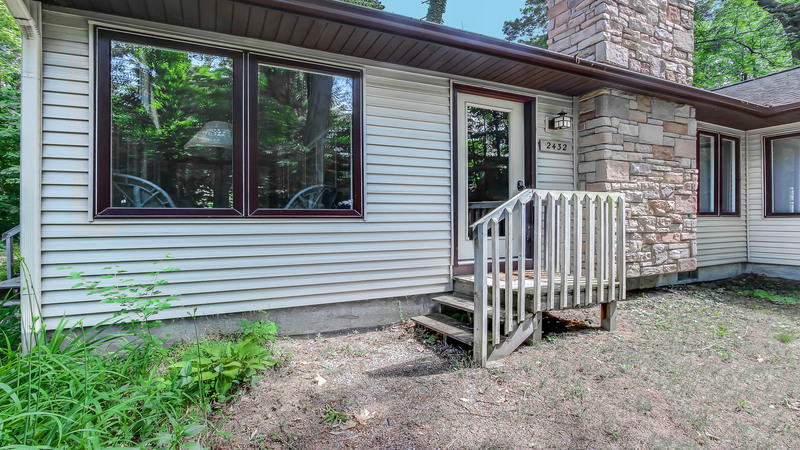 The home is located between Saugatuck and South Haven. 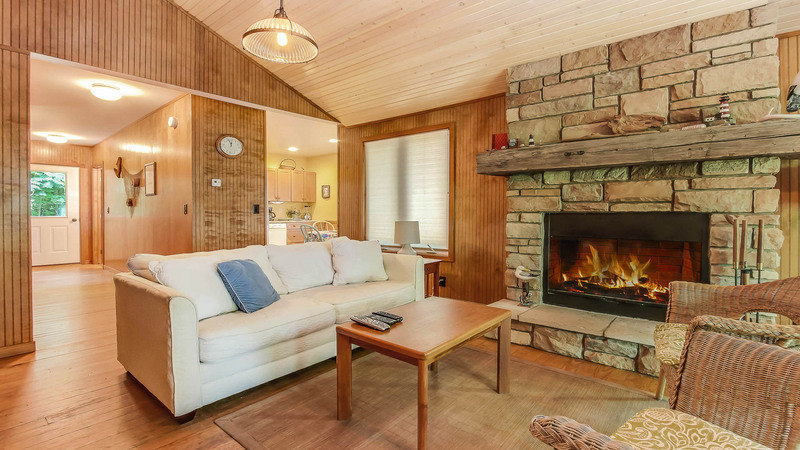 Wood paneling and a wood fireplace warm up the living area. The living room has plenty of seating and a sleeper sofa. The bright kitchen is accented by beautiful wood cabinetry. Dine in natural light--the kitchen has room to seat four. 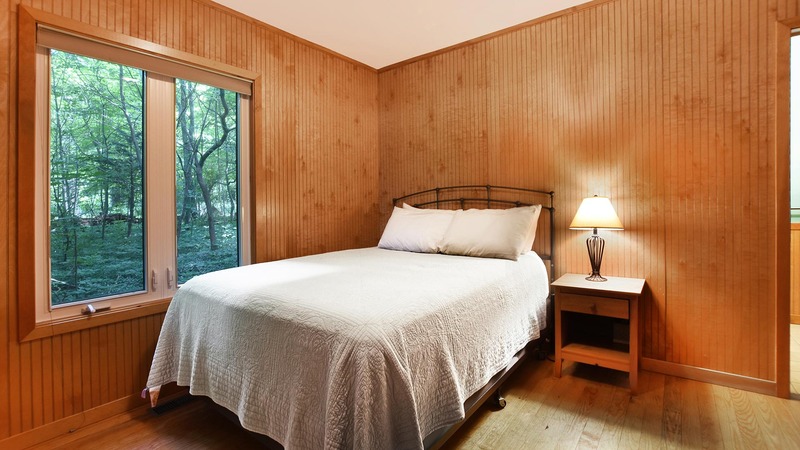 This guest bedroom offers a full-size bed. 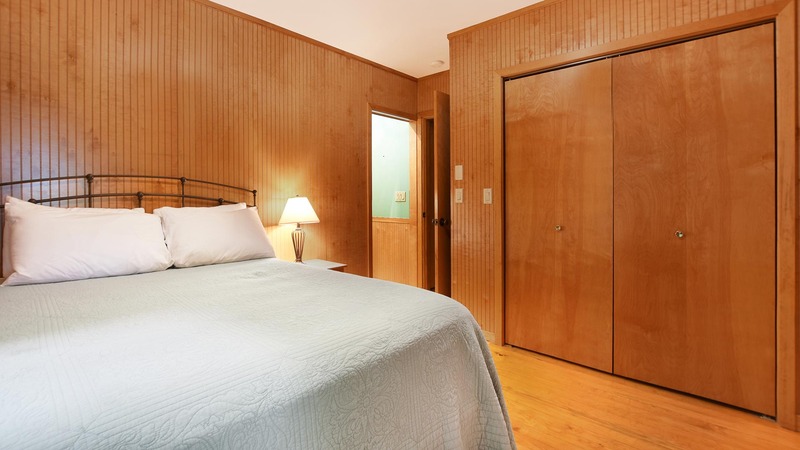 Another guest bedroom with a full-size bed. The bright master bathroom features a walk-in shower. The bright porch overlooks the lake. Eat a meal or play a game with a view. The front yard has plenty of room for outdoor activities. Descend the stairs for access to the beautiful private beach. 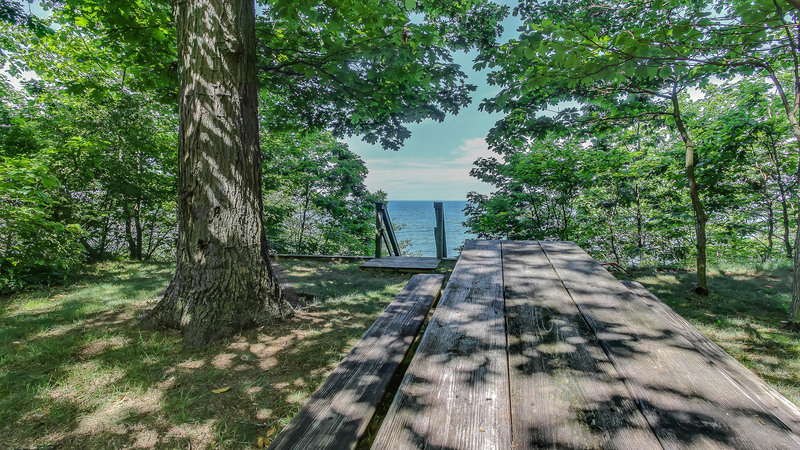 Catch views of Lake Michigan at the picnic table. Warm up around the firepit. Cook out on the gas grill. Beach Closure: The beach will be closed starting March 2019 and reopen for Memorial weekend. 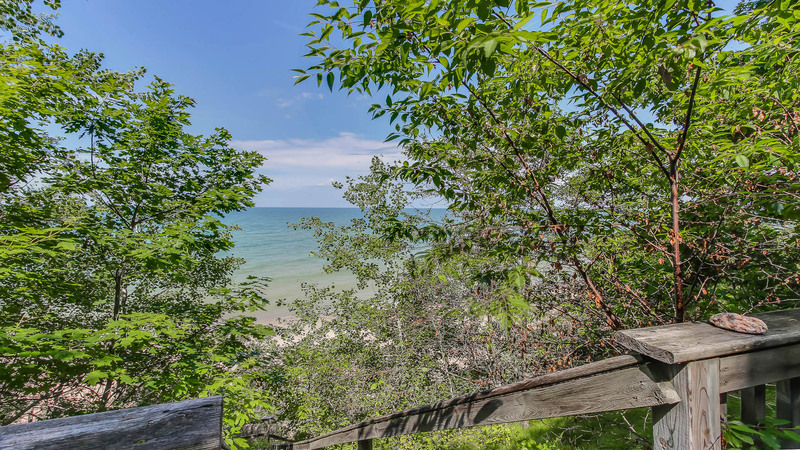 If you've ever imagined having your own low-key cottage on the lake, Beach Cottage is a great place to live out that dream. Tucked away in a vibrant woodland, this dog friendly cottage is a perfect escape from the day-to-day. The home has a warm, welcoming atmosphere and fertile ground for growing family memories. Enjoy each other's company in the well-furnished living area while a fire burns in the wood fireplace. 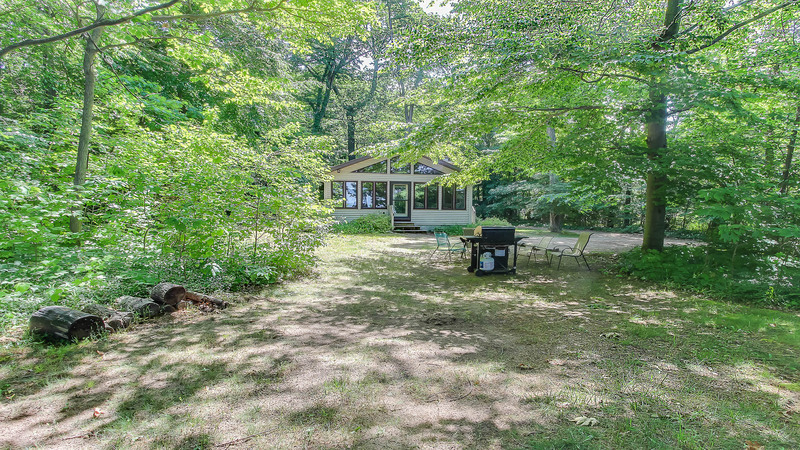 Cook out on the gas grill and enjoy meals with a view on the picnic table out in the yard. Descend the stairs to access this home's spacious private beach for a day of swimming and sunbathing. When night falls, gather around the fire pit for s'more roasting and star gazing.